Kundali, known as ‘horoscope’ in English, is an astrological chart or diagram representing the positions of Sun, Moon, planets, astrological aspects and sensitive angles at the time of an event, such as the moment of a person's birth. The word horoscope is derived from Greek words 'hõra' and 'scopos' meaning 'time' and 'observer' respectively. In Vedic astrology, Janam Kundli or simply 'Kundali' is the Sanskrit term used for birth-chart or Horoscope. Janam Kundali is generally based on date, time and place of birth of a person. A perfect Kundali can only be prepared by knowing these 3 factors concerning the person. Using this data, first the Ascendant is determined and the then position of planets in different houses are prepared. What is the difference between lagna chart and navamsa chart? Lagna chart is the main birth chart. It shows your life in detail. Navamsa funnels down the results after the second half of your life. Basically Navamsa is studied to know the life after your marriageable age. How should we examine a birth natal chart ? There are twelve divisions in the birth chart. Each division shows each factor of your life. The chart is studied through the signs and planets placed in each division. Astrological name of these division is called houses. Is kundali matching important for marriage? Kundli matching is important in marriage. It will show the basic characteristics of the bride and groom. This is a traditional practice in India, to make marriages more effective and fruitful. Both the charts are studied and carefully analysed. What are the important components of a Kundali? The kundli has 12 houses, 12 zodiac signs, and 9 planets. The 12 Houses represent the 12 zodiacs through which the 9 planets (Sun, Moon, Mercury, Venus, Mars, Jupiter, Saturn, Ketu and Rahu) traverse. These houses also indicate specific areas of the person's life in which specific events may happen, which will be strong or weak depending on the position of planets. Explaining the Layout/Structure of a Kundli chart. The position of all the 12 planets at the time of birth are shown in a Kundli chart. In Vedic astrology the two chart styles commonly used are – North Indian and the South Indian chart styles. The North Indian birth-chart style is different from South Indian birth-chart. The North Indian is a house-based chart, meaning that the houses always stay in the same positions in the chart and the signs move. Whereas, the South Indian is a sign-based chart, meaning that the signs always stay in the same positions in the chart and the houses move. In any Chart/ Kundli there are 12 segments which are called 'Houses', 'Bhava', 'Sthan'. What is the idea behind the basics of planetary positions in a Kundali chart? The very basis of Indian astrology is the nine planets - Sun, Moon, Mars, Mercury, Jupiter, Venus, Saturn, Rahu and Ketu. Apart from the aforesaid nine planets there is an astrologically significant planet called Gulika (Maandi). Rahu and Ketu are actually the intersection points of Earth and Moon and not planets. Since these cosmic points have considerable influence on nature, they are considered as planets in astrology. How can I interpret and understand a Kundali chart in detail? Once the janam kundali (birth chart) is made, the next stage comes here, Interpreting the Kundli chart. To understand your birth chart (kundali) you need to check the following elements. 1.Signification of various houses in your kundali (birth chart). How to interpret and understand a Bhava chart in detail? Similarly, calculate the midpoints of all the other houses to get the Bhava chart. The starting point of a bhava is the mean of its and the previous house’s midpoint. 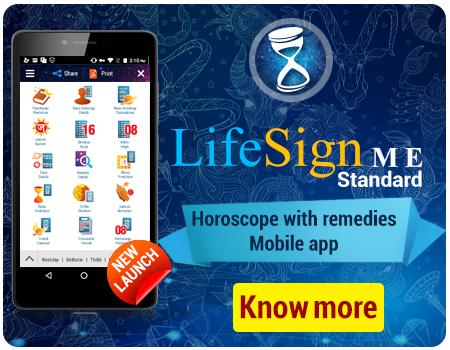 Naturally, the endpoint of a house is the beginning of the next one.LifeSign Mini Free Kundli Software, based on the influence of planets, gives detailed Bhava predictions on your character and life. Predictions in this free kundli software cover analysis of the first house for predictions on personality, physical structure, and status. Sudarshana Chakra in your kundali is a combination of the three charts - Sun Chart or Surya Kundli, Moon Chart or Chandra Kundli & Birth Chart or Lagna Kundli. What is the importance of Sudarshana chakra chart in Kundli? Sudarshana Chakra Chart in your Kundli helps you to find out the different forms of planetary patterns according to different chakras. A Sudarshana chakra analysis provides you interpretations of the influences of planets based on their positions. 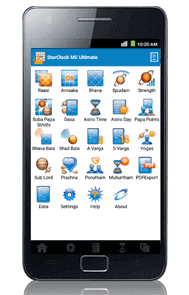 The Sudarshan chakra chart is presented in this free Janam kundli software. What is the difference between Vimshottari Dasha periods and Dasha Bhukti Periods? The dasa results of a person depend upon the strength and position of planets and the strength of Yogas. Although there are several dasas like Kalachakra dasha, Nissarga dasha, Niryana dasha and Gulika dasha in astrology, the pride of place is given to Nakshatra dasha or Star dasha. Within the Nakshatra Dasha system, there are variations assigning different cycle periods and the most popular system is based on a cycle of 120 years which is called the Vimshottari Dasha System. In this system, human life span is assigned a possible total of 120 years which is divided into rulership of 9 planets. Each planet has its own period of rulership and is called the Dasha bhukti period of the planet. How does Kuja dosha check mentioned in your Kundali? In Vedic astrology, Mars is one of the most prominent planets which can significantly influence the event marriage.The position of Mars in a native's Kundli determines the presence of Mangal Dosha or Kuja Dosha, which brings ill effect and bad-luck in the person's married life. When the position of Mars is in 1st, 2nd, 4th, 7th, 8th or 12th house of the native's Kundli, the person is said to have Manglik dosha. The person will have no Manglik Dosa if Mars is positioned at own house (Mesha or Scorpio) or in its exalted position (Capricorn). This free Kundli Software can help you check the presence of Kuja dosha in your Kundli. What is yoga? How can I understand the effects of yoga in my Kundli chart? Yogas are certain combinations of planets in a Kundli which play a significant role in a person's life. There are thousands of Yogas described in astrology some are formed by simple conjunction of planets, whereas others are based on complex astrological logic or peculiar placement of planets in the chart. The strength of the planets and houses, lordships, position in Navamsa etc. can also determine the effect of the Yogas. Hundreds of combinations and their effects have been described in the ancient astrological texts. While some combinations are good, others may have undesirable effects. How can I find whether a planet is benific or malefic? The planets behave as benefic or malefic depending upon the houses they own in a Kundli which naturally varies with lagna. How can we determine that a planet is benefic for Lagna? First house lord, other than moon,9th and 5th lords (in that order) 10th, 7th and 4th lords (in that order), when they are not natural benefics. This is Kendradhipati Dosha, which gets cancelled only when the aforesaid planet occupies its own sign. 9th and 10th house lords are considered very beneficial to a chart, but they should not be linked with 8th or 11th house.Natural malefics, when they become kendradhipatis.The property of getting opposite traits to natural tendency is cancelled when the planet in question occupies its own house. Which are the malefic planets? Lords of 3rd, 6th and 11th houses, in the reverse order,Any benefics that might be tainted with Kendradhipati Dosha. Which are the Neutral planets? Moon as lord of Lagna, Lords of 8th and 12th house; although the chapter mentions only Sun and Moon as having this property, but in principle it can be applied to each planet. Astrology is the study of planets. The planets move in their own time and in their own space according to individual cycles. Astrology is based on the date, time and place of birth of a person. From the birth chart an astrologer can analyze the relationships between the nine planets, or Grahas, the twelve Rashis, or signs of the zodiac, and the twelve Bhavas, or houses, of the birth chart. What is the difference between Indian astrology and western astrology? Western Astrology gives importance to Sun Signs whereas Indian Astrology focuses more on Moon Signs. Although there are techniques available to experts for deeper analysis, Western Astrology generally looks at your Sun-sign and gives general predictions which are common to millions of people. e.g. if your sun-sign is Pisces, the general predictions given by western astrologer or given in magazine / newspaper applies to all people under the sky whose sun-sign is Pisces. On the other hand, Indian Astrology looks for your date of birth, time of birth and place of birth, which is unique in this world. Even in case of twins, the time of birth differs. Use of divisional charts, Dasa System , Ashtakavarga etc. and precise calculations for strength of planets makes Indian Astrology more accurate and individualised. How accurate should the time of birth be? The more accurate it is, the better. There are a number of calculations which require precision up to the minute. An interpretation can change entirely from one minute to the next, for example if the Ascendant changes signs. But these occasions are relatively rare, and usually it is sufficient to have precision of minutes for the birth time and around 20 kilometres for the place of birth. On which panchanga is your astrology report based on? here seems to be different systems of astrology, also we see differences between published almanacs (Panchangas). ASTRO-VISION astrology is broadly based on Indian Predictive Astrology also known as Vedic Astrology. ASTRO-VISION astrological calculations are based on scientific equations and not on any specific published almanac. Hence most often there could be errors in manual calculations based on an almanac and Astro-vision calculations are more accurate and reliable since it is based on direct calculations based on the birth details. How accurate is Astro-Vision horoscope report? Astro-Vision's experience of more than 25 years and continuous research and development has enabled it to provide one of the most accurate and reliable astrology reports ever prepared. As far as the calculations and charts are concerned the accuracy levels are considered close to 100%; while on the astrological predictions, the accuracy levels can be considered close to 80% like any other predictive science. Please note that the accuracy levels of the horoscope also depend on the accuracy of birth data provided. Will there be differences between different language versions provided by you? The software versions and the predictive text in the reports are subject to continuous modifications, including addition of new chapters. This is necessitated by the nature of the content and Astro-vision's constantly evolving research findings. There are minor variations in the systems and practices followed by different regions of India and Astro-vision has accommodated some of these variations in the regional language versions. As a result, the reports generated in different languages may not be exact translations. Also, all the language versions are not updated simultaneously. What is the standard 'Ayanamsa' adopted in your reports? Can I have the report based on a different ayanamsa? We have adopted 'Chitrapaksha ayanamsa' also called 'Lahiri Ayanamsa' for our calculations as it is the most popular and widely used ayanamsa system in India. The astrological calculations and predictions may differ in case a different ayanamsa system such as 'Raman Ayanamsa' or 'KP system' is used. Is your astrology report based on KP system? No, we do not follow the KP system for interpretation of the horoscope. What is the difference between astrology and numerology? Which report is better? There are different systems for Gem Recommendation, what is the basis of your Gem Recommendation Report. Gems can be worn based on the month of birth, zodiac sign, birth star, etc. but Astro-Vision uses a more comprehensive logic based on the horoscope of the person prepared based on Vedic Astrology. Planetary lordships and weaknesses are carefully analysed. The approach is to propitiate favourable planets using 'Anukul-Ratna' analysis. Where many planets are weak, Navaratna ring is recommended. For small babies only 'Moonstone' is recommended. What is the basis of Astro-Vision Numerology? There are two popular systems namely 'Chaldean' and 'Pythagorean'. The main difference is in assigning numerical values for alphabets. While Pythagorean algorithm assigns values to alphabets sequentially, A=1, B=2, C=3 etc. in the Chaldean system the values are assigned differently like A,I,J,Y =1. Astro-Vision numerology reports are based on the Chaldean system, which is the standard in India and popularised by authors like Cheiro. Can you predict the age upto which I will live? 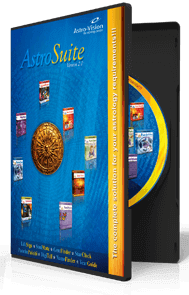 Astro-vision considers the knowledge of astrology as a self-development tool with a highly optimistic approach. It provides the power to people to transform their dreams into reality and it should be considered as a science which has been developed by the ancient gurus to infuse positive thinking and optimism. So as a policy Astro-vision does not support the study of longevity of an individual based on horoscope. It is said that only the God himself knows the exact date or time of death of a person. What kinds of remedies are suggested by you? We suggest vedic remedies in the form of Mantras, Fasting, Yantras, Worshipping, Gems, Charity, etc. Each individual horoscope is checked thoroughly before advising a particular remedy. e.g. in case of marriage and children related problem. So, all kinds of suggested remedies are purely Saatwik in nature. Which are the normally prescribed GEMSTONES? Vedic astrology centers on nine principal gemstones: Pearl for Moon, Ruby for Sun, emerald for Mercury, Diamond for Venus, Red Coral for Mars, Yellow Sapphire for Jupiter, Blue Sapphire for Saturn, Hessonite (Gomed) for Rahu and Cats-eye for Ketu. Moon Stone, garnet, Jade and other semi-precious or secondary stones can be used as substitutes to reduce costs. The name of secondary stones are also indicated in Astro-Vision gem recommendation reports. How dependable is the city database provided by Astro-Vision? While all care is taken to ensure accuracy of city data provided, you are requested to verify the time zone, longitude and latitude values before you submit the information. The division of data into country, region and city is made purely for the convenience of selection. It has no political implication whatsoever. It is possible that a place earlier belonging to a region or country may belong to new one, due to changes in boundaries, creation of new regions etc. Places may also get renamed. If you notice that any information in our database need updating, kindly let us know immediately. We regret any inadvertent error that might have crept into the database if any. I am not able to locate the city in the database provided by Astro-Vision. What should I do? We have provided a built-in city data file containing data on thousands of important cities all over the world. The data is arranged in the order of Country, region/province and city/place for ease of selection. In case you are not able to find the required place in the data file you can enter the details of longitude, latitude and time zone manually by clicking on 'Edit the Place Details Manually' option available on the right hand bottom side of the Data Entry page. You are welcome to send us your queries about any clarifications in the modules and the site as a whole. Our response rate is 100% and we usually respond in less than 48 hours. If you do not get a reply in 48 hours, please escalate and send the query again with urgent priority. We will respond to your queries at the first opportunity as soon as possible.